The ABA decided to reevaluate Kavanaugh's qualifications for the court after his emotional testimony before the Senate judiciary committee last month. Kavanaugh broke down in tears and defiantly defending himself against accusations that he sexually assaulted university professor Christine Blasey Ford at a high school party more than 30 years ago. The ABA policy requires the ABA to drop its rating process after a nominee has been confirmed. 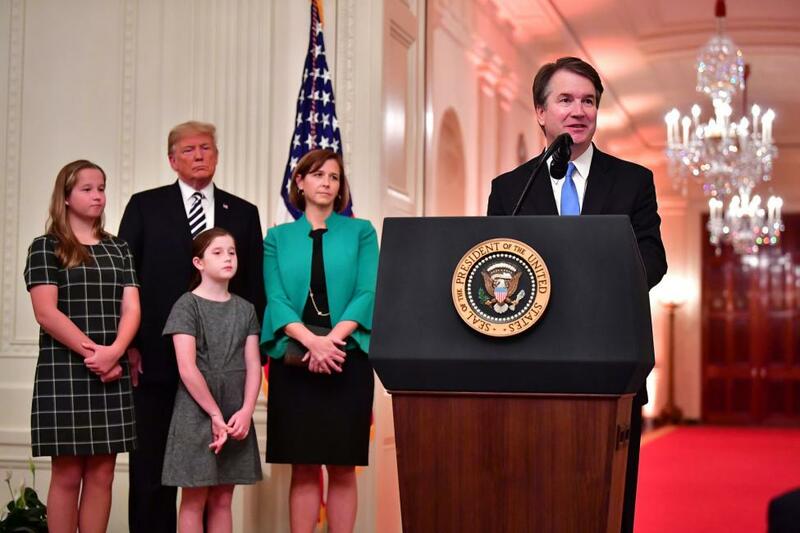 Kavanaugh was confirmed to the U.S. Supreme Court by a 50-48 vote of the Senate on Oct. 6 after a contentious confirmation process that included an FBI investigation and protests on Capitol Hill. The ABA originally voted unanimously to give Kavanaugh a well qualified rating, the highest they can give, but rescinded it after the Sept. 27 hearing. "New information of a material nature regarding temperament during the September 27th hearing before the Senate Judiciary Committee has prompted a reopening of the Standing Committee's evaluation," the ABA said in a statement. Conservatives have long criticized the ABA, saying it has a liberal bias. President George W. Bush opted not to use the group to screen presidential nominees.